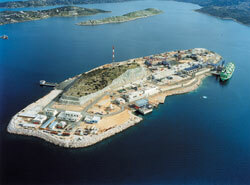 The Group’s power activities focus mainly on electricity generation through ELPEDISON POWER and trading both corss-border, as well as in the Greek market through ELPEDISON ENERGY. Both companies are controlled by ELPEDISON BV (50% HELLENIC PETROLEUM S.A., 50% EDISON), which holds 75.78% in each of the abovementioned companies’ share capital. 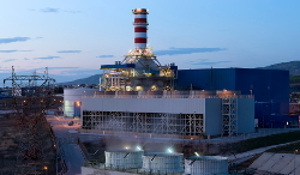 ELPEDISON Power is the second largest independent power producer in Greece, with a total installed capacity of 810 MW, comprising a 390 MW gas-fired plant in Thessaloniki since 2005 and a 420 MW gas-fired plant in Thisvi since 2010. On the supply side, ELPEDISON – which recorded exceptionally rapid growth in 2015 - is one of the largest independent alternative electricity suppliers with sales of 550 GWh (2015) to medium and low voltage customers. ELPEDISON BV’s results were negative mainly due to the lack of regulatory framework for the payment of compensation related to the availability of production units. The company’s production of electric power increased compared to 2014 mainly due to the fall in the cost of the natural gas during the second half of 2015.
in Greece through import pipelines and the Revithoussa LNG terminal, as well as in the trading of natural gas to selected end-users (annual consumption> 100 GWh). DESFA, a 100% subsidiary of DEPA, manages and develops the National System of Natural Gas Transmission. . DEPA also holds a 51% share in local supply companies (EPAs), which distribute Natural Gas to customers with an average annual consumption <100 GWh through the low pressure gas network. Finally, DEPA also participates in international gas transportation projects. The result of DEPA SA decreased mainly on the back of provisions in the last quarter of 2015 (conflict with BOTAS and provisions). Natural gas sales remained at the same levels as last year. On 16 February 2012, HELLENIC PETROLEUM SA and the Hellenic Republic Asset Development Fund (“HRADF”) agreed to launch a joint process for the sale of their share in DEPA Group, with a view to sell 100% of the supply, marketing and distribution activities, as well as the 66% participation share in the high pressure gas transportation network of (DESFA SA - 100% subsidiary of DEPA SA). The sale process has resulted in a binding offer for the purchase of 66% of DESFA, from SOCAR (National oil and gas company of Azerbaijan), which amounted to €400m, while the amount corresponding to 35%, which is owned by HELLENIC PETROLEUM SA amounts to €212m. On 21 December 2013, the Share Purchase Agreement was signed, and the closing of the transaction is subject to the approval of the European Commission competition authorities.